Swiftships has always listened to customer requirements and then responded by build- ing the required vessel at a reasonable cost. Supply boats built by Swiftships reflect this concern for performance, reliability, and value. Multi-purpose vessels that are versatile enough to do any job, anywhere. Vessels that incorporate the latest technology with the basics of good craftsmanship, engineering, and experience that is part of the Swiftships legacy. 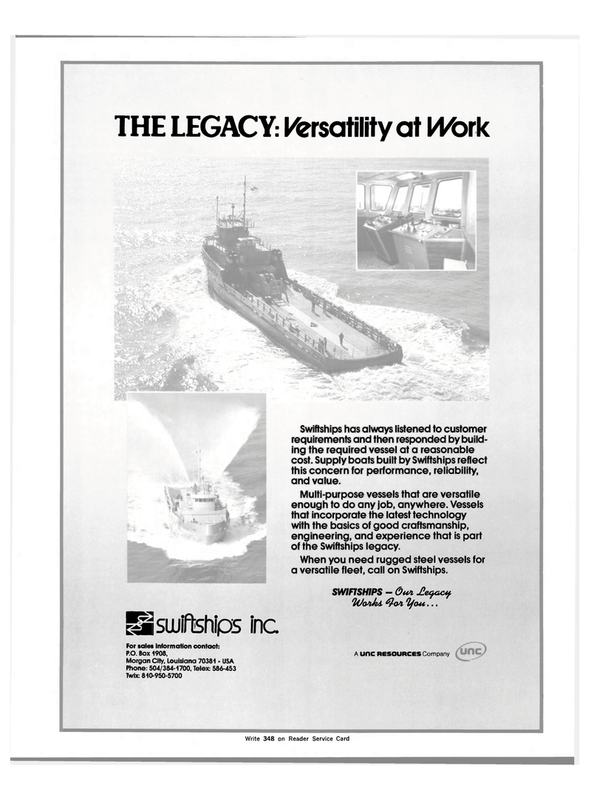 When you need rugged steel vessels for a versatile fleet, call on Swiftships.